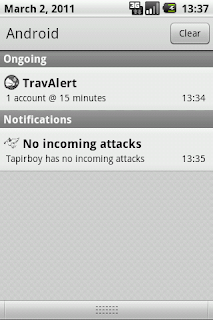 TravAlert is an android application that will make Travian addicted gamers enjoy their free time. No more guilt feelings of not checking your account every 10 minutes. TravAlert will do that for you. 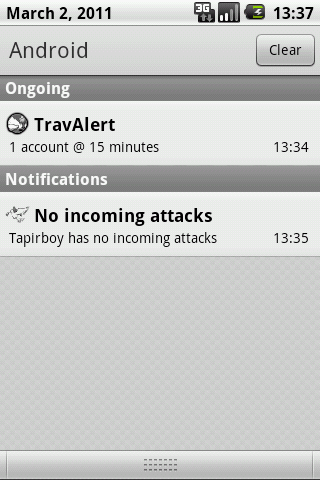 If any of your villages are under attack, rest assured that you will be notified. 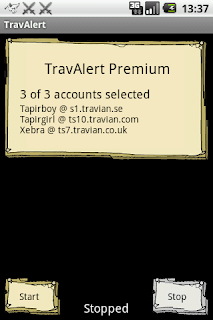 TravAlert comes in two versions, Premium and Lite. 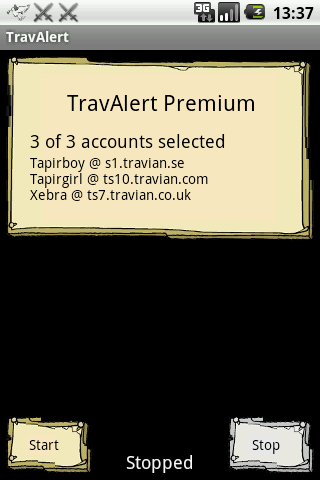 Premium version will allow you to monitor multiple accounts on different Travian servers while the free Lite version is restricted to one server. You can help translate TravAlert on getlocalization.com/travalert. 2.0.0 - Interact with village?